After facing all the hurdles of finding a place in New York, from finding the right neighborhood that is within my budget and room size that can fit my stuff and make me not feel miserable, I finally moved to New York!! I picked a Master’s bedroom in a 3-bedroom apartment in Bushwick at a decent price (it’s under $1,200, which is honestly still expensive for me – but it’s freaking New York) and a few blocks to the M and L Trains. Down payment, traveling, and moving expenses are already costly and I really didn’t want to spend so much to make my room glamorous. I did, however, wanted it to be homey and a little me. 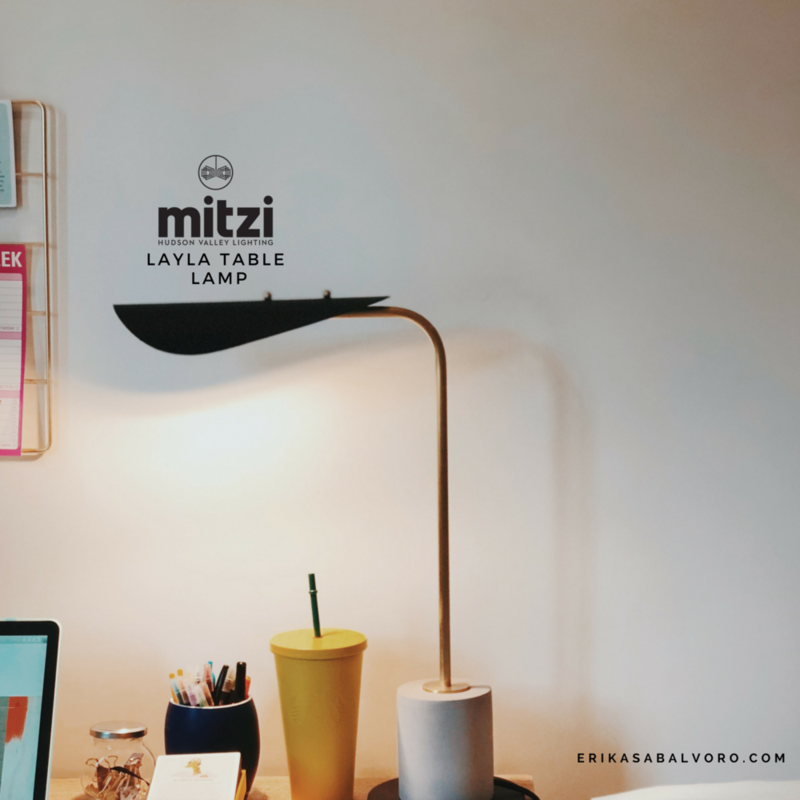 Since I also have a side hustle that I want to work at whenever I have free time, my ‘home office’ was a priority. I was aiming to buy a desk less than $100, so when I saw this desk on Overstock I had to take a double look at the price. It’s easy to assemble (at least for me and I’ve assembled at least 3 furniture since I moved) – it’s 2-person assembly on paper but I did it on my own. PS: Always check the measurement and know if it will fit in your room. When it was shipped to my home, I freaked out since it was bigger than expected. It turned out good since it’s also now my vanity desk. But if you’re in NYC or have a small space, consider getting this. If you're looking for chairs that are modern on the cheap and perfect for small spaces – DHP is perfect! Honestly. The price is perfect and the assembling part is so easy and smooth. You can assemble it within 20 minutes like I did. I have the Mid Century Modern Molded Arm Chair with Wood Leg and Kebo Chair, Black and White Geometric Pattern - I also use them alternately depending on my mood. 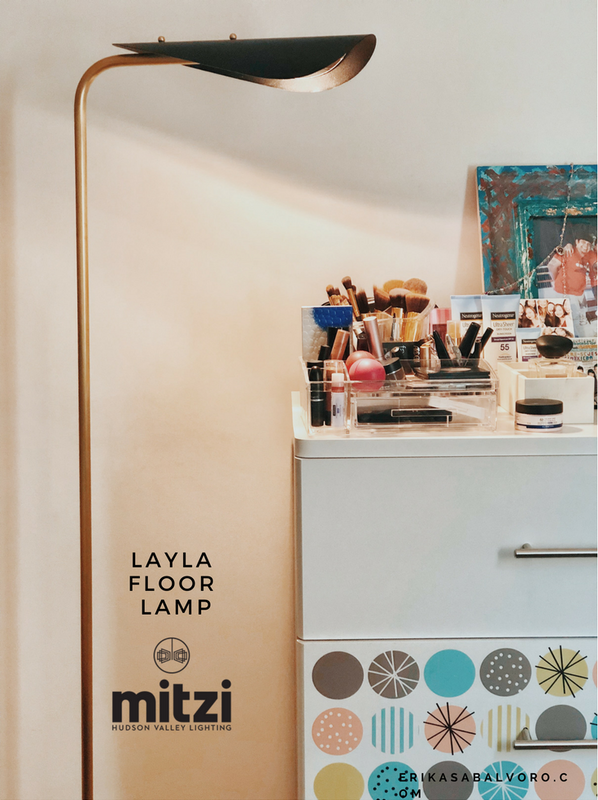 I got these Layla desk lamp and Layla floor lamp at Mitzi. I want to accent my space and add some contemporary and modern touch to it. It’s not really cheap, it’s over $100, but its affordable for its design and quality. If you’re looking for pieces that you know you will last for years, I will suggest this. Its base is also concrete and metal and you can easily customize the lighting through a switch. Okay, I’m a millennial, I know. However, I know myself enough that I tend to procrastinate a lot and I really need to write down my tasks and have a written reminder. This metal mesh grid I found on Target is just perfect for me. Other options would be a bulletin board or a whiteboard, but it could be messy. I got this accessories organizer from TjMaxx way back when I’m still living in Maryland. I also reused boxes from Miu Miu (the pink one) and ASOS (the black one). It saves me some $$ and it also looks cute because of the colors. There are a ton of ways to cut expenses when buying home office furniture. You can visit thrift shops and flea markets or be very savvy searching for sale and clearance online. I chose to buy new ones since I live in New York and I don't want to deal with the hassle of shipping the furniture to Bushwick. But I would consider that in the future. Also, it helps to find office inspirations online! I got mine on Pinterest, Apartment Therapy, Design Sponge, and more. I hope you liked my cutesy small office! If you have any questions, leave them in the comment box and I'll answer you ASAP. I'll share a personal story about moving out on my next blog post.